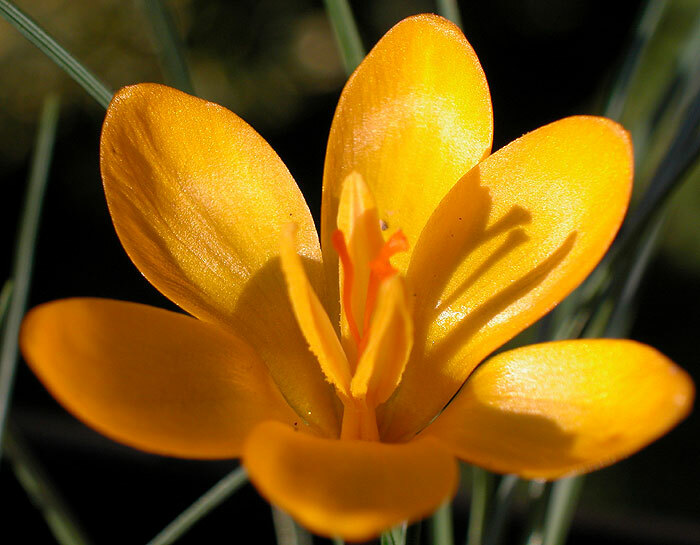 A useful addition to any garden or alpine house are the spring flowering Crocus. 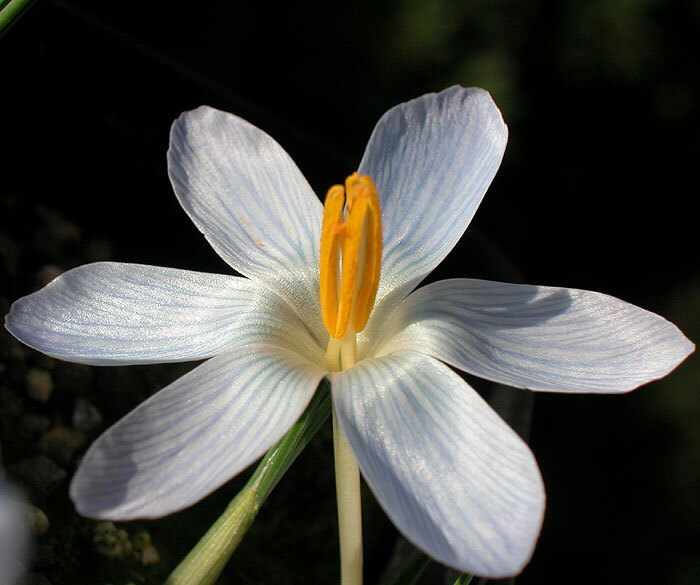 They perform much better in the alpine house where the rain and wind does not ruin them. 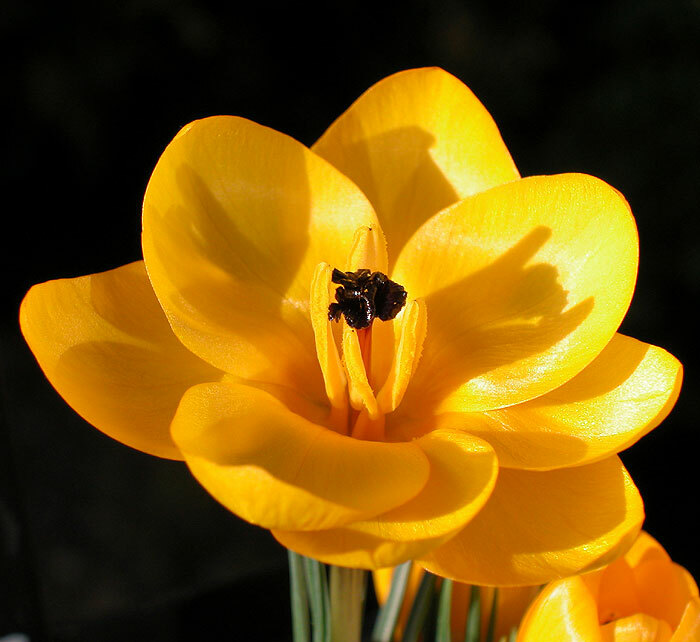 Some can be bought very cheaply from specialist suppliers such as Janis Ruksans in Latvia, Leonid Bondarenko in Lithuania or closer to home from Miniature Bulbs. 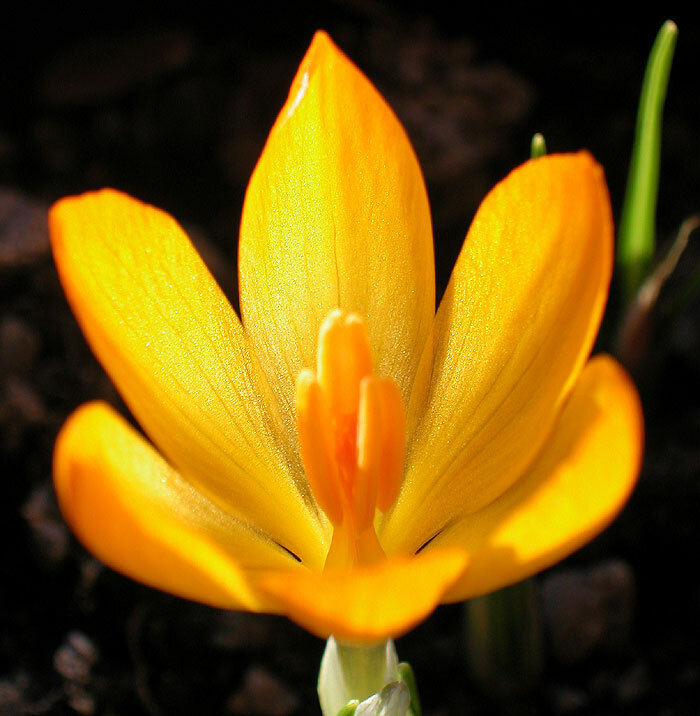 Crocus corms, as with all ‘bulbs’, are best planted within days of their arrival. All my collection are now in 4” square rigid plastic pots but you can get away with smaller ones. The larger pot will not dry out so quickly in the glass house. My mix for these again follows the Ian Young mix of 2 parts grit, 2 parts horticultural sand and one part leaf mould. This is mixed in a wheel barrow with one cup of bone meal. Don’t worry if a mould quickly grows if the mix is left for a few days. This is just microbes and fungi breaking down the bone meal. It’s amazing how fast they grow. I just mix everything again when I come to use it. 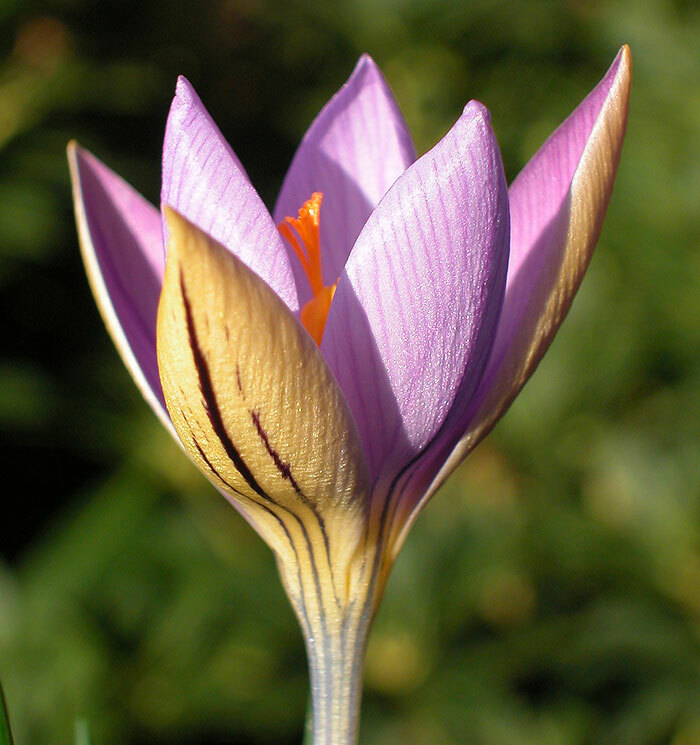 The Crocus are planted 2/3rds down and grouped together but without touching. On September 1st give the pot/s a good soak from a controlled water source. On October 1st repeat this and don’t water again until the flowers and leaves are up. I only water when the surface dries out. If you want to grow from seeds make sure you have a tiny paint brush handy for when the flowers are open. You can either have one for each species or try pot luck and cross pollinate them all. The former is better. Watch out for aphids on the emerging leaves. They are a major pest and will spread virus through a collection. 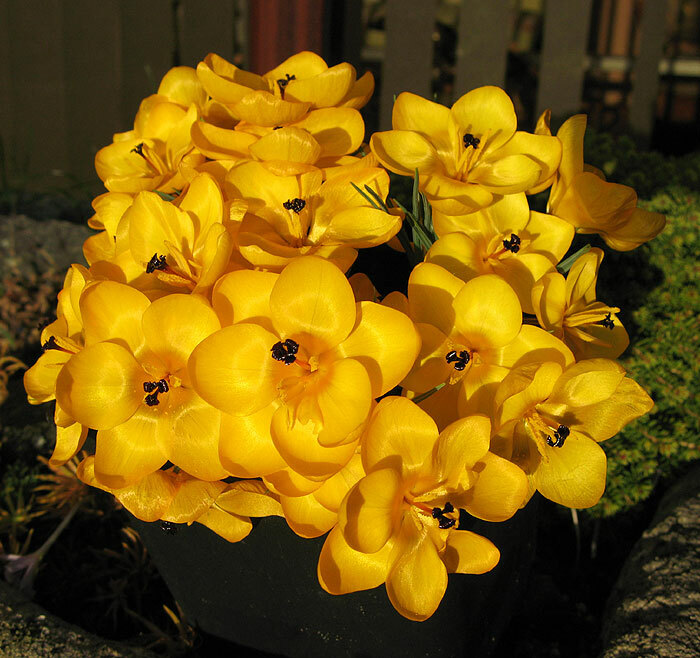 When the flowers are over, the pots can be set outside to be watered naturally. It is now that liquid feeding can begin. Only do this when the weather is mild. I use a dilute mix of one heaped teaspoon of Sulphate of Potash in a 9L watering can. This is water soluble so there is no worry of over feeding. SoP helps build the corms for the following season. As the leaves start to turn yellow the ovary that has spent the spring below soil level elongates until it is at the surface. As it matures and drys out the seeds can be collected and sown in their own pots.When the leaves have yellowed let the pots dry out and remove the old leaves. Some corms don’t like to be baked in summer sun so these can be stored under the bench. Repotting is done every other year.